Dynamic Footy Skills is famous for improving your footy and we also know that our game is about having fun with your mates. Our School Holiday Programs are all about FUN ! Take part in our 2019 April School Holiday Programs for only $59.50. DFS are excited to be back in April with the famous School Holiday Programs. We have 9 locations around Melbourne to choose from and guaranteed to be one near you. 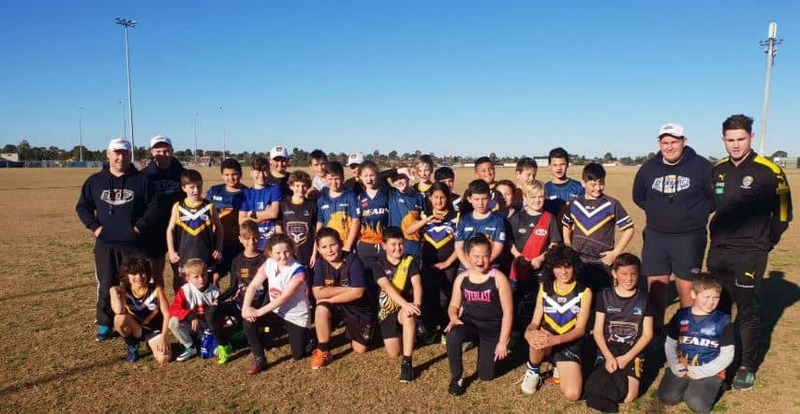 Over 900 players participated in DFS School Holiday Programs in 2018. We can’t wait for 2019 kicking off in April. Our School Holiday Programs are for all primary school students (Grade 2 – Grade 6). With locations all around Melbourne, there is bound to be one near you. Places are strictly limited at 24 at each location so it is important that you do REGISTER FAST. Registration can be made by clicking on the link below. Please click on the link below to Register. ***If you are unable to see your location of choice on the registration system, this means that we have reached capacity***. We have created a waiting list, so please CLICK HERE. Players do withdraw from programs due to injury or illness and you will be contacted immediately should this occur.